Bachelor Of Medicine & Bachelor Of Surgery (M.B.B.S.) – B.J.Medical College, University Of Pune, in year 1985. Master Of Surgery (Orthopaedic Surgery) (M.S.) – University Of Pune, India in year 1989. Spine Surgery in year 1998. Fellow Spinal Injuries Centre in Fukuoka, Japan in year 2001. English, Hindi, Marathi, Sanskrit, German, Hebrew, Japanese. Resident Doctor In Orthopaedic Surgery. 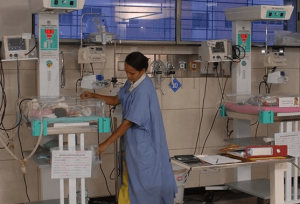 Orthopaedic Surgeon – Esis Hospital (Govt.of Maharashtra). Lecturer In Orthopedics, Dept. 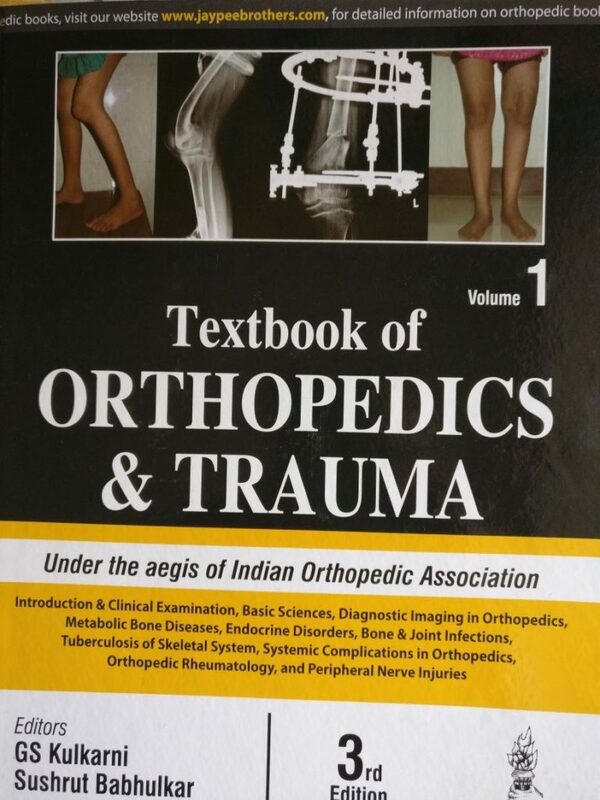 Of Orthopaedics, Bharti Vidyapeeth Medical College Pune. Associate Professor Of Orthopaedics, Dept. Of Orthopaedics Bharti Vidyapeeth Medical College. 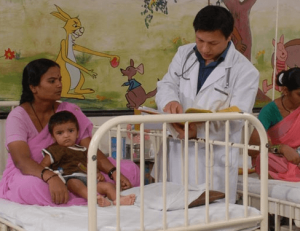 Associate Professor Of Orthopedics Sancheti Institute Of Orthopedics & Rehabilitation – 4 Years. 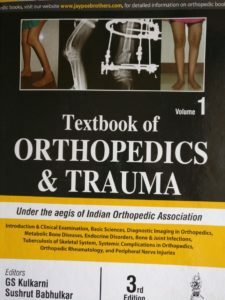 Professor Of Orthopedics Bharti Vidyapeeth Medical College. Selected By Maharashtra Public Service Commission[MPSE]. Visiting Orthopedic Surgeon For International Postgraduate Training Programme In Orthopedic Surgery-Tel-Aviv University, Israel. 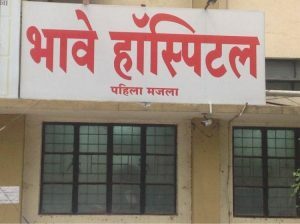 Honorary Spine consultant Deenanath Mangeshkar Hospital, Pune. Orthopaedic spine surgeon & incharge Bhave hospital, Pune. 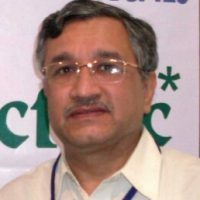 Professor in dept.of orthopaedics Bharati vidyapeeth medical college, Pune. Honorary Spine consultant Ruby Hall clinic, Pune. Study of fracture calcaneum (os calsis)-dissertation submitted for master of surgery in orthopedics (M.S.) -university of poona-pune. Study of treatment of early avascular necrosis of head femur by fibular grafts in year 1987. Study of management of fracture pelvis by external fixator-presented at annual research society meeting B.J.Medical college pune in year 1988. Comparative study operative & non operative treatment of depressed # calcaneum-presented at Maharashtra Orthopedic conference at Kolhapur year 1990.& annual conference of International College of Surgeons–in Pune year 1994. Presented an academic lecture titled newer nsaid-nimesulide- at cme workshop Indian medical association year 1996. Calcitonin in the treatment of Paget’s disease of the bone early report -presented at Maharashtra state orthopedic conference in Nasik year 1997. Lectures on orthopedic practice in Pune & poliomyelitis at Assaf harofeh medical centre, Telaviv university, Israel. VERTEBRAL BODY REPLACEMENT-Presented at the Research society Annual conference B.J.Medical College Pune. Development of VERTEBRAL BODY PROSTHESIS . at WIROC-99, Mumbai. -Presented in Young Surgeon’s Forum[YSF]. Multi drug resistance Tuberculosis of spine- surgical difficulty at LS junction. Presented at Annual conference of Spinal Surgeons of India in year 2000.- Presented for World spine 1 held at Berlin, Germany in August year 2000. Early surgery in Traumatic paraplegia due to Thoraco-lumbar injuries. Presented at Annual Conference of Spinal Surgeons of India 2000.Presented at World spine 1 to held at Berlin, Germany in August year 2000. Modified Frenkel’s classification-study of 298 cases of lower cervical cord injuries.-at ISSICON year 2002 ,NEWDELHI. ‘Vertebroplasty- early report of 15 cases’- Japanese Orthopedic Annual Conference –KOBE_JAPAN in May year 2004. Percutaneous Endoscopic discectomy-early results- presented at Japanese orthopaedic association annual conference –Yokohoma –Japan in May year 2005. Vertebroplasty-lecture in the conference for ‘osteoporotic bone fractures,-‘Miraj year 2006. 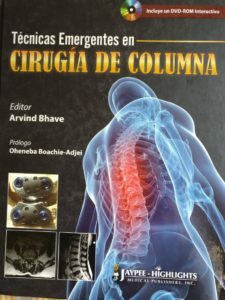 Vertebroplasty using indigenous instrumentation-‘Spine today06’.-Coimbtore in June year 2006. Percutaneous endoscopic discectomy – Hokkoido university spine course, Sapporo, JAPAN year 2007. One Of The Ten Outstanding Young Personalities Of Pune.[TOYP]. International Fellowship-Govt.Of Israel-For International Postgraduate Training Course In Orthopaedic[Spine] Surgery At Tel-Aviv University ,Israel.1998. Bombay Orthopaedic_Wochardt Fellowship For 1998-99-[Bos Spine Fellow]. Best Paper Award -At The Research Society Annual Conference Of The B.J.Medical College, Pune 1999. Selected For World Orthopaedic Concern Fellowship For 2000. 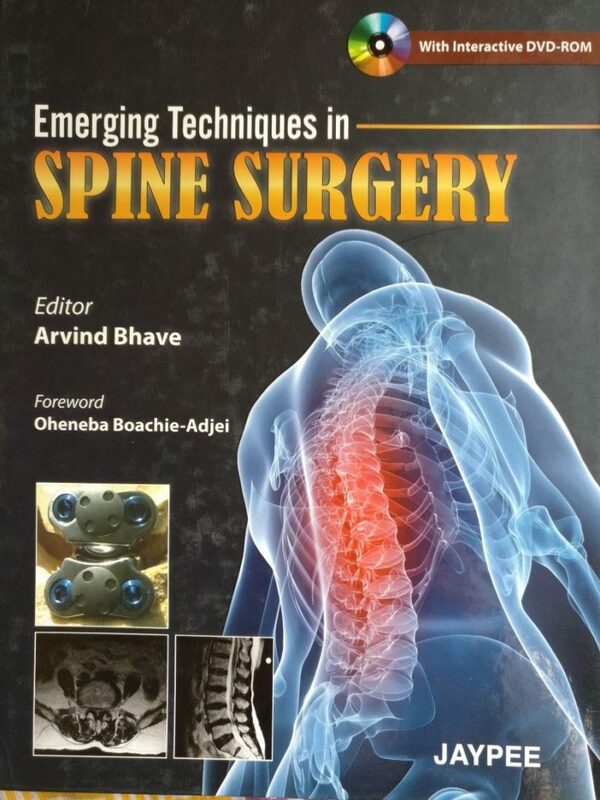 Selected From Asian Spine Surgeons For Japanese Spinal Fellowship -2001. Best Paper Award At Research Society –Bharati Vidyapeeth Deemed University.-2000 & 2002 [Two Times]. Selected For The Inventors Of India Conference By ‘IIM-Ahmedabad’. Joa Fellowship: ‘Vertebroplasty-Early Experience- At Joa Confernce Kobe-Japan-May 2004. Japan Orthopedic & Trauma Foundation Fellowship 2005. Selected Hokkaido University Visiting Scholar – Sapporo,Japan . Guest lecture: Tamilnadu Lawyers academy,Chennai,Sept 2011. National Workshop On Geriatric Care.By World Health Organisation[Who].2003. National Workshop On Osteoporotic Fracture Management-Miraj. 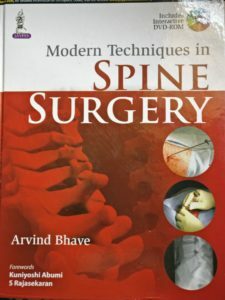 Workshop In Recent Advances In Spine Surgery—Pravara Medical College, Pravara.[June2005]. Maharashtra State Orthopaedic Association Annual Conference [Oct2006]. 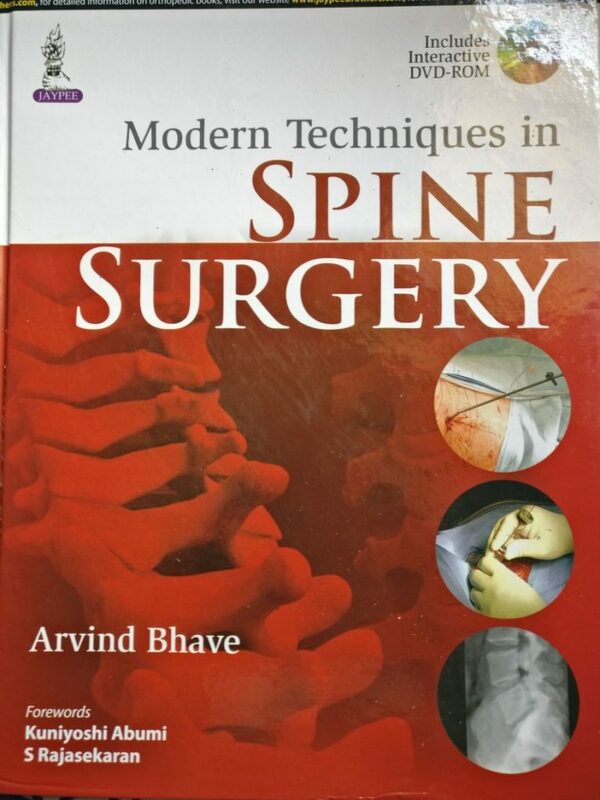 Instructional Lecture Course Lectures On Current Concepts –Assi & Spine Society Of Europe.-Hydrabad[Aug2006]. Ao Spine- Asia Pacific –Guest Lecture. Mumbai[Sept.2006]. 3rd Indonesian Spine Society Conference, Jakarta, Indonesia. 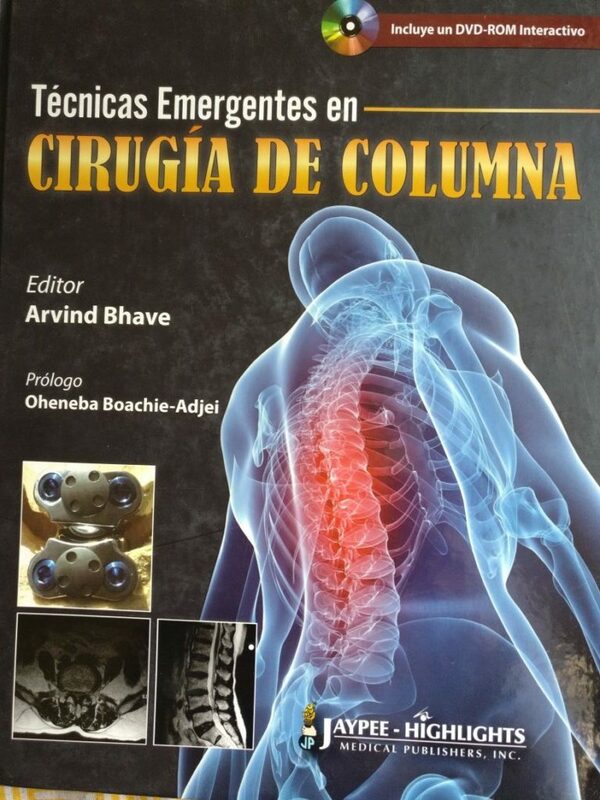 Publications: Maharashtra Journal Of Orthopaedic Association-Percutaneous Vertebroplasty. Conducting Free Health Checkups, Diagnostic Camps & Surgeries For Arthritis & Polio & Other Problems. Conducted By Various Govt. & Non-Govt.Organisations Like Rotary International. Indian Medical Association & Various Health Organisations. Member Anciliary Conciliatory Forum-For Settlement Of Third Party Accident Claims. For The State Of Maharashtra & Goa. Consultant Orthopaedic Surgeon To General Insurance Corporation Of India & It’s Subsidaries For Accident & Mediclaims. Organising Secretary- ‘Indo-Israel Spine Meet’ IN PUNE – JANUARY year 1999. MEDICAL CONSULTANT TO EXIM BANK- SUBSIDARY OF WORLD BANK. * Secretary, Poona Orthopaedic society year 2006-2007. President , Poona Orthopaedic society year 2009-2010. 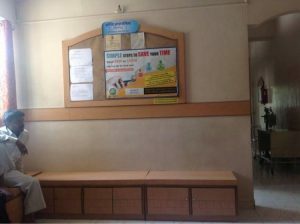 Holding Various Health Check- Up , Diagnostic Camps For Economically Backward & Poor Patients.— Orthopaedic, Arthritis, Backache, Rehabilitation Like Jaipur Foot Etc., Polio Corrective Reconstruction. Polio Plus Activity, Osteoporosis Detectation ,Cancer Detectation . Diagnostic & Surgery. For Last 10 Years In Various Parts Of Pune [Dhankawadi ,Taljai & Parvati Slums] & Maharashtra State- Rural Areas ( Daund, Kedgaon, Ane, Junnar, Panshet, Kalwan, Narayangaon, Alephata Etc). SPINAL DIAGNOSTIC CAMPS – Osteoporosis detection camps 3 time every year. These camps are carried out free of cost. *Health awareness lectures on Radio[AIR] series of 8 lectures in year 2004 & 2005, 2006, 2007, 2008, 2009 ,2010, 2011. Public lectures & articles on topics of health, back pain, osteoporosis. 1st Asian conference On Trauma,Joint Replacement & Spinal Surgery—in Madras year 1988. National Hand Surgery Conference & Workshop in year 1989. Workshop In Sports Medicine & Rehabilitation Conducted By American Assn.Of Physicians From India in year 1988. 1992, 1995, 1997, 1998, 1999, 2000, 2001, 2002, 2003, 2004, 2005, 2006, 2007,2008, 2010, 2013. Indian Orthopaedic Conference in year 1995. Annual Conference Of International College Of Surgeons in year 1994. Sicot Australia—in Asia year 1994.
International Spine Surgery Conference in year 1996. Western India Regional Orthopaedic Conference . Assicon 2000-Mumbai, 2002-Kolkatta, 2003-Pune, 2004-Banglore, 2007-Coimbtore, 2009-Chennai, 2011-Mumbai, 2012-New Delhi. Annual Conference Of Spine Surgeons Of India. Worldspine1 -Berlin, Germany in August year 2000. 76th Japanese Orthopaedic Association Meeting -Joa year 2001, Chiba-Japan. Issicon year 2002 – New Delhi. Spine Total care year 2003- Seoul- Korea. World Spine2- Chicago, U.S.A. in August year 2003. 77th Japanese Orthopedic Annual Conference –Kobe-Japan in May year 2004. 78th Japanese Orthopedic Annual Conference – Yokohama -Japan in May year 2005. Asia Pacific Spine Section in March year 2007. 81th Japanese Orthopaedic Association Conference, Sapporo in Japan year 2008. Indonesian Spine Society Conference July 2009 Jakarta,Indonesia. ISMISS Istambul Turkey in April year 2010. ARGOSPINE Paris,France in January year 2012. ISMISS International congress-Zurich,Switzerland in January year 2014. 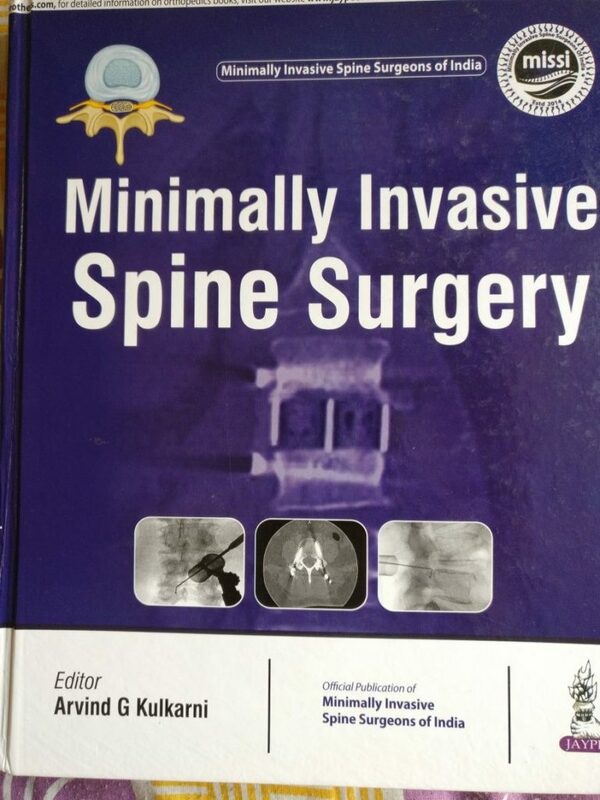 World congress of Minimally Invasive Spine Surgery – Paris, France in June year 2014. Postgraduate Lecture Course in year 1989. External Fixators For Femur & Tibia in year 1990 – Miraj. Ilizarov Technique -Basic Course in year 1992. Workshop On Spinal Instrumentation in year 1995. Workshop Oninterlocking Nails in year 1995. Workshop On Total Hip Arthroplasty-Miraj in year 1995. Workshop On Pedicular Screw Fixation in year 1996. Workshop On Hip & Knee Arthroplasty By Indo-German Orthopaedic Foundation. (IGOF). Workshop On Flaps In Orthopaedics in year 1997. Workshop On Advance Spinal Surgery & Laproscopic Spinal Surgery in January year 1998 — Jerusalem(Israel). International Course On Spinal Instrumentation & Surgery in August year 1998. Workshop On Spinal Surgery-Mumbai in Nov. year 1998. Workshop On Endoscopic Spine Surgery in year 2000. Workshop On Artificial Disc Replacement in year 2000. Workshop On Artificial Disc Nucleus in year 2000. Workshop On Vertebral Body Replacement in year 2000. Workshop On Spinal Endoscopy in year 2000. Ao –Basic Course-Mumbai in year 2001. 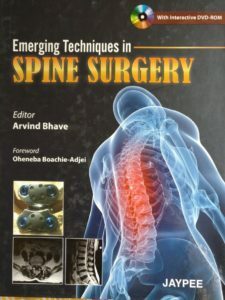 Ao-Spine Course –Kolkatta in year 2002. Ao-Cervical Spine Symposium –in Mumbai year 2002. Workshop On Spinal Fixation[Medtronic] in New Delhi year 2002. Workshop On Prosthetic Disc Nucleus [PDN]-University Of Vienna, in Austria October year 2004. Instructional Course In Spine-By Assi & European Spine Society in Mumbai Aug year 2005. Destadau’s Endoscopic Lumbar Discectomy Workshop in Kolhapur – April year 2007. Workshop On Osteoporosis Vienna – Austria in year 2007. Issls Workshop in year 2008. Workshop on full endoscopic spine surgery-Herne, in Germany Oct year 2013. Workshop for trainers in February year 2017. Dramatics: Recepient Of Best Acting Award At State Level. Sports: Maharashtra State Chess Champion At Subunior,Junior Levels—5times. Pune University Winner 3 Times. At All-India Inter-University Chess Championships. INTERESTED IN VARIOUS GROUP ACTIVITIES LIKE DEBATES, MUSIC,DRAMA. Rising Industrialisation & sedentary lifestyles, back pain has become integral suffering for all human beings, right from childhood to old age. The population of world can be divided into three classes – those who had back pains, those who are having back pains & those who will have back pains. 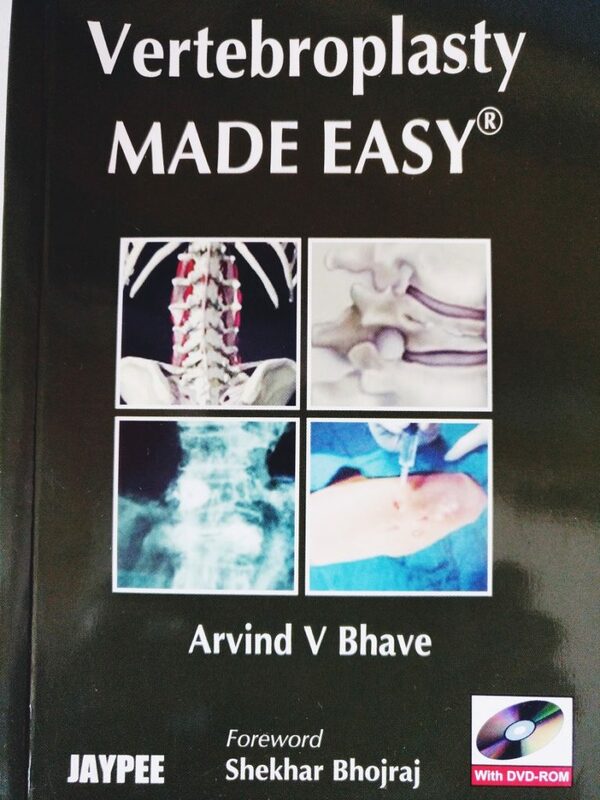 Dr. Arvind Bhave has travelled widely in 15 leading countries to get himself trained in wide varieties of spinal treatments & brought in all the technology to improve life of our patients. Here we are able to design indigenous equipment’s which are patented now. To name few like ’AB needle’ for vertebroplasty, which has simplified treatment of spine fractures mainly in old patients & brought down the cost of surgery significantly so that spine treatment has become affordable to many deserving patients. Vesselplasty is another latest in the world to treat osteoporotic spine fractures. 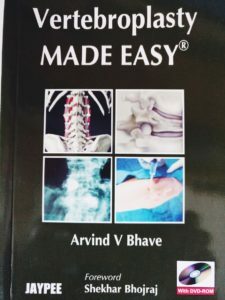 The endoscopic spine treatment at Bhave Hospital Pune, for the ‘sciatica & slip disc’ has revolutionized spine care & now we extend this technology for the common degenerative spine problems of lumbar canal stenosis which causes numbness & heaviness in legs making mobility of the patient difficult. 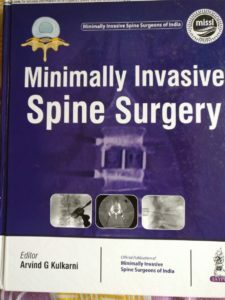 Minimally invasive surgery has revolutionized the surgical treatment for the spine, with smaller & smaller incisions patients have small wounds which heal early making him back to work in smallest possible time , this avoids long term bedridden condition & hence the morbidity & mortality of these high risk surgeries.